In 1986, the United States mint began producing bullion coins in silver and gold. Platinum followed in 1997. 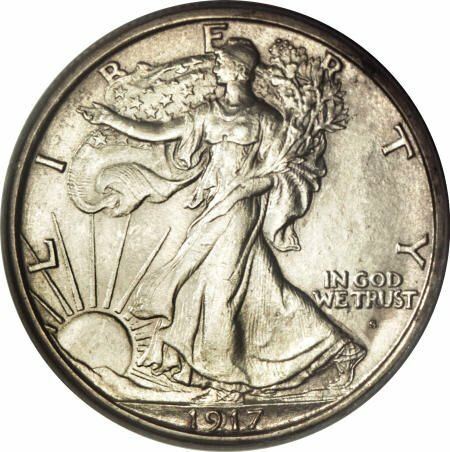 The one ounce silver coin used the classic obverse design of AA Weinman's walking liberty half dollar. 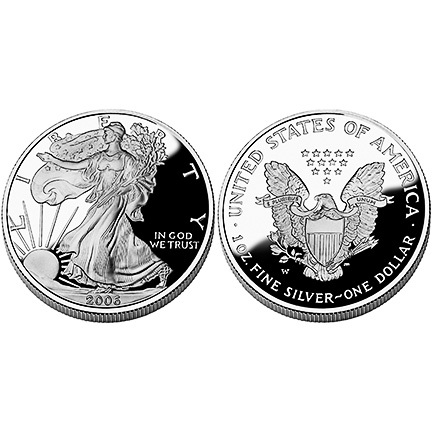 The reverse design was a new version of an eagle designed by John Mercanti. The bullion coins are sold by distributors and geneally command a premium of a few dollars above the silver price per coin. In addition to the bullion coins, the mint struck proof coins for collectors.